All-in-one toothpaste that is gentle to your mouth! Every day we try and live just that little bit healthier and it’s an accumulation of all the small choices we make every day that gets us there. 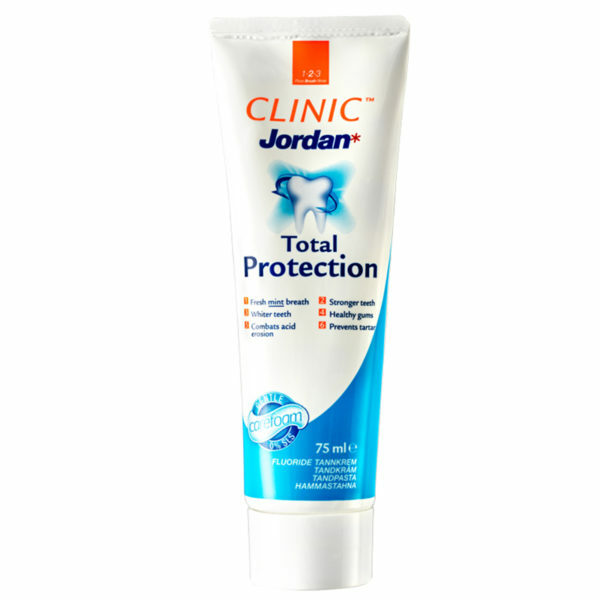 Jordan Total Protection, everything you want in a toothpaste without sulphates and parabener. Total Protection is kind to your mouth but just as effective. Our toothpaste is the result of our knowledge and expertise combined with modern consumers expectations of what a new generation of toothpastes should be.